Droste Group Principal Steve Dion presented on the importance of team development at the 2016 MISHRM Conference & Exhibition. Steve spoke on several different team development topics including the power of trust on performance, the team development process, how team development is leadership development, and then concluded the presentation with a case study. 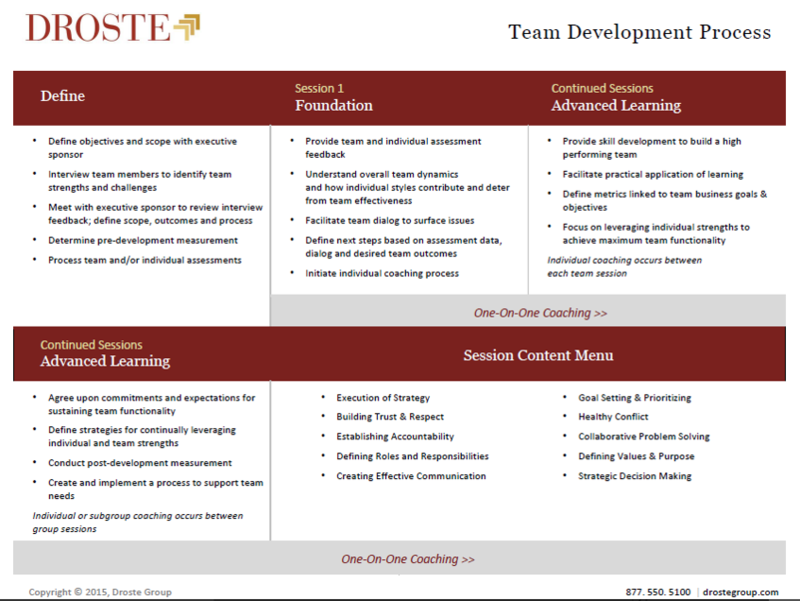 Here is an overview of our team development process and the steps we take when helping our clients. Author and business leader Patrick Lencioni has some great quotes on the importance of teamwork and results. “Not finance. Not strategy. Not technology. It is teamwork that remains the ultimate competitive advantage, both because it is so powerful and so rare.” “A team ensures that its attention is focused on results by making results clear, and rewarding only those behaviors and actions that contribute to those results. A functional team must make the collective results of the group more important to each individual than individual members’ goals.” Team members may be conflicted between their own personal goals and the team’s goals, but if they have trust, if they have healthy conflict, if they can commit to the team’s decision, and if they are willing and able to hold one another accountable, they will be able to focus on the collective results of the group, rather than let personal goals get in the way. 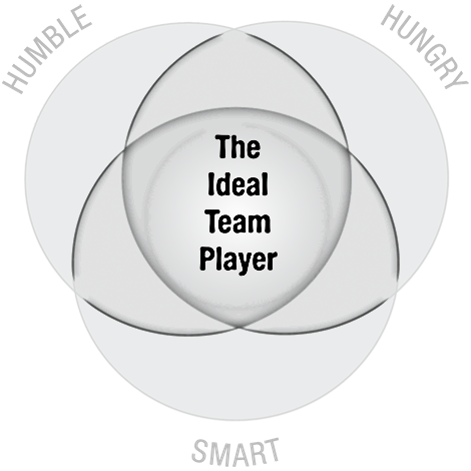 If the team can focus on collective results, the individual results will come along. 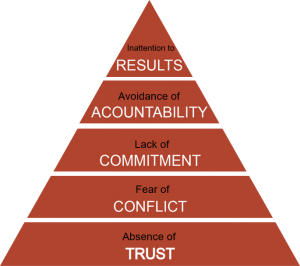 The Five Dysfunctions of a Team model is a proven model. 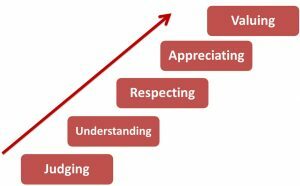 For years, many organizations have used this model to try to get beyond the dysfunctions of a typical team. Engages in healthy conflict around ideas? 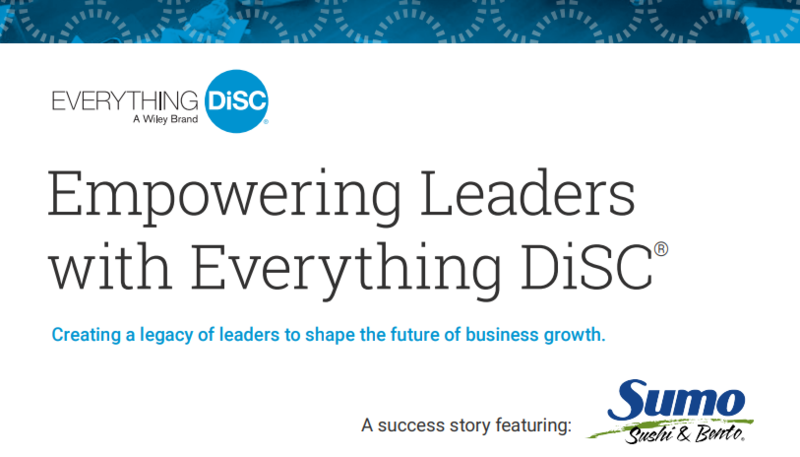 Focuses on achieving collective results? 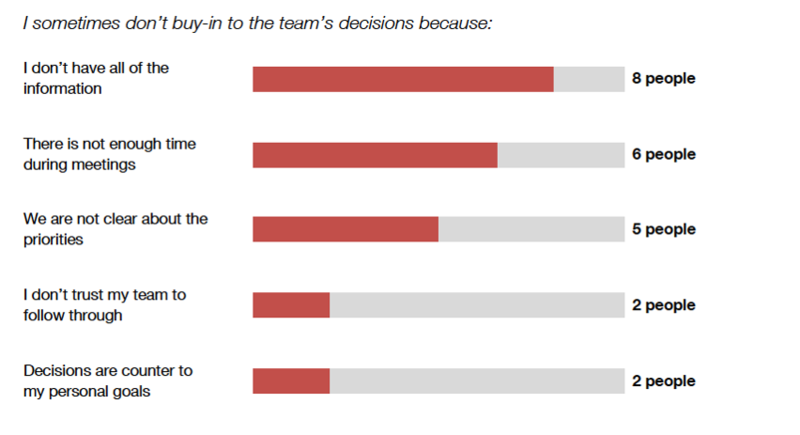 This diagram shows the connection between your team members’ personalities and the decisions they will make as a result. 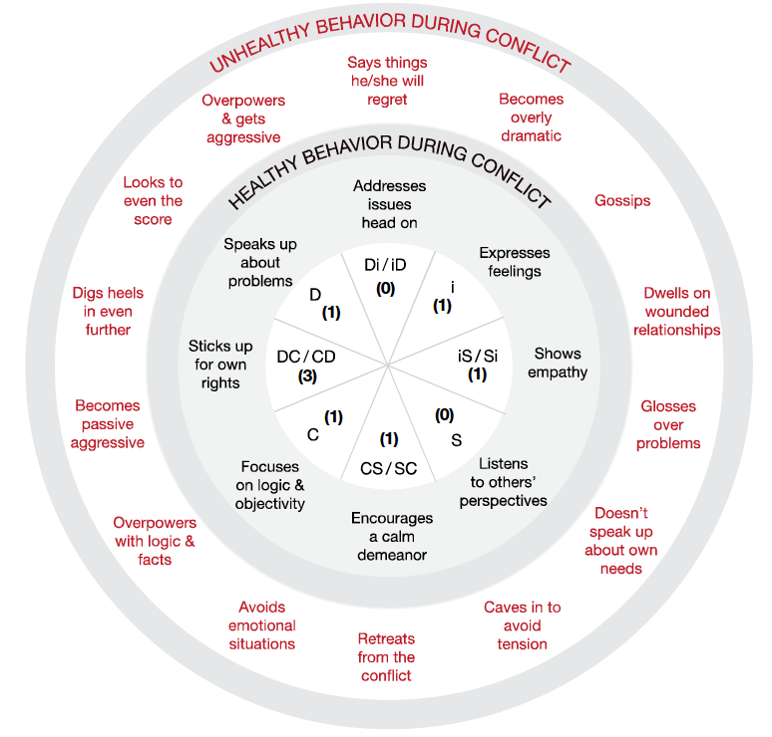 During the team development process, you want to ensure your team is expressing healthy behavior during a conflict. 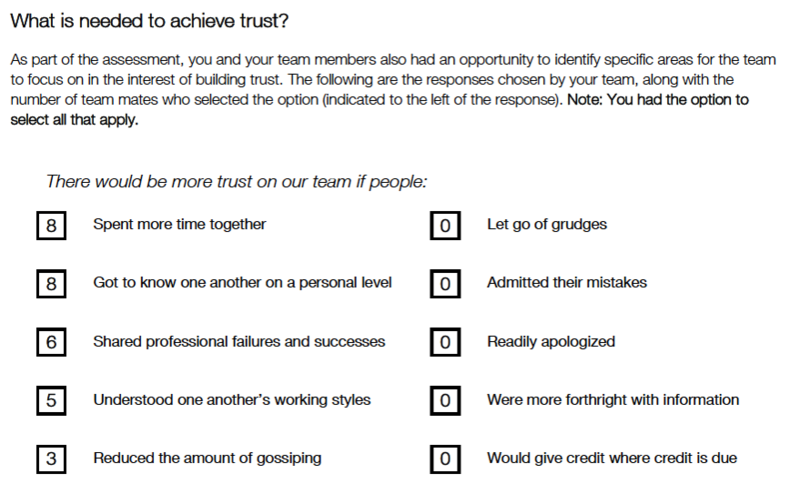 Here are some more statistics we found on trust, and the importance of understanding how your team feels. 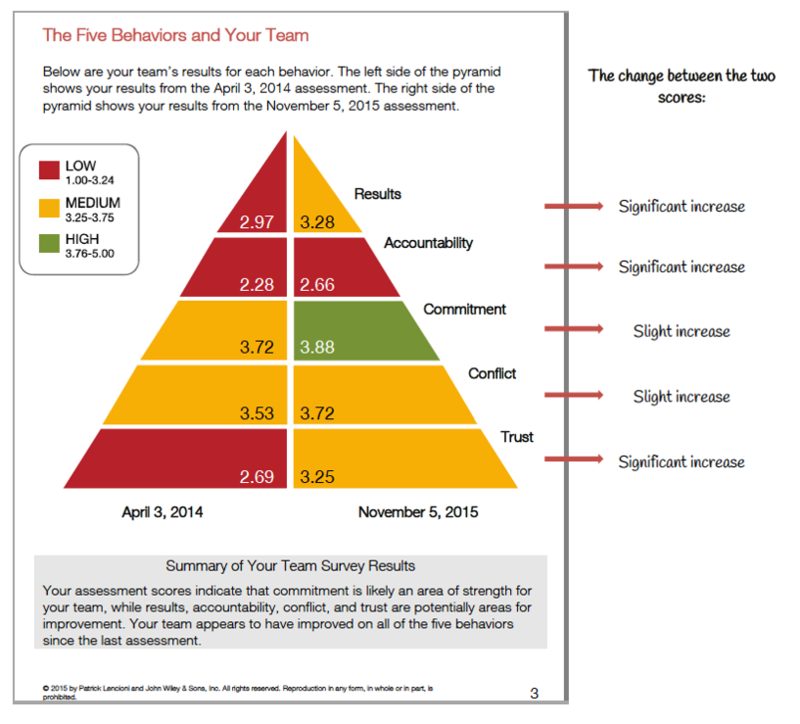 Organizations and teams can expect these outcomes after running a Five Behaviors program.